Our 40cm unprinted latex balloons is the next size up from the 30cm latex balloon, give you a bigger balloon and also a larger print area should you wish to have custom printed balloons. These balloons are able to be inflated with helium or air. You can have them floating from the ceiling in bunches of different colours or as single balloons to make that impact. 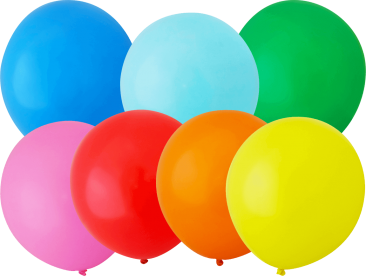 The accessories are also available for your convenience – just go to our Balloon and Party Accessories page.